Central Washington University experienced record enrollment growth during the winter quarter, with the school gaining 509 new students in the winter quarter, which was 250 more students than the previous year. The nearly 3.5 percent increase was the largest number of new winter enrollments in CWU history, according to John Swiney, special assistant to the CWU vice president of business and financial affairs. Much of the growth came from new first-year students and transfers. CWU President James L. Gaudino said the boost in student enrollment indicates the university is moving in the right direction. The jump in enrollment in the winter quarter follows a 21 percent increase in fall quarter freshmen enrollment, which was a record year-over-prior year increase. The total winter quarter enrollment at CWU is 10,515, which is the third highest in school history. Swiney said next year, when an even larger reduction in tuition takes effect, he anticipates that CWU will break past records for new and total enrollments. The student body is also becoming increasingly diverse. One-third of this year’s freshman class identify as students of color with freshman Hispanic enrollment at 16.6 percent. 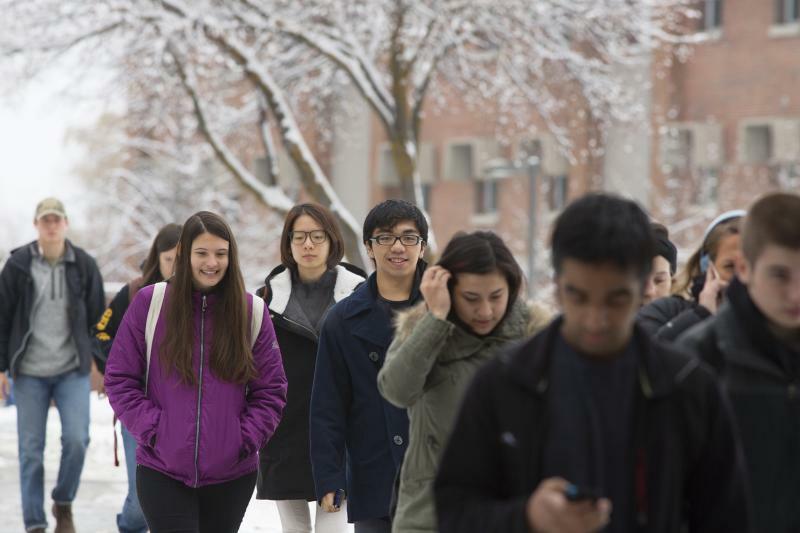 For the winter enrollment period, University of Washington saw a 2 percent increase, Western Washington University was up 1.8 percent, and Washington State University increased 1.5 percent. Evergreen State College was down .7 percent and Eastern Washington University dropped .87 percent. Overall, enrollment in the Washington public university system increased 1.9 percent. Media contact: Rich Moreno, director of content development, 509-963-2417, richardmo@cwu.edu.